From love and relationships to life, career and finances and everything in between, you need to hear the truth. I offer you no fairy-tales and amazing accuracy. I am a respected, ethical and renowned reader with 28 years experience of guiding people along the right path. What I see happens and it’s never to late to change your future. Call Now for clarity and answers to the questions and issues that have been playing on your mind. All calls/chats are 100% confidential. If I am showing as Busy or Away, please use the request reading buttons below to arrange a reading. My name is Danny and it’s a pleasure to meet you. It is also my pleasure to help you. As an ethical Life Path Reader I feel it is important to tell you immediately that in my readings you will find NO FAIRYTALES, NO SUGARCOAT and only the 100% TRUTH. As much as I love to help anyone in need of guidance, please do not hire me if you do not want to hear the truth. No matter what situation or outcome you desire, I will guide you to achieving it. With that said, here is what you can expect to get out of a reading with Dancing Voice. My clients range from Television Personalities and Music Stars to Family and Friends. 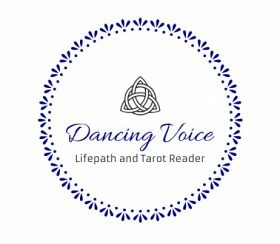 My abilities have taken me far and wide over the years from psychic fairs to working as a face to face reader at my home, working not just in the UK but also in Europe. 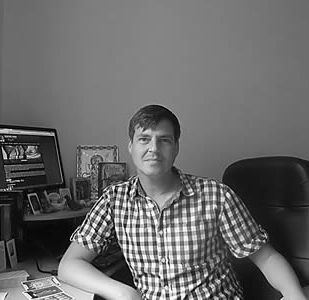 I run regular Tarot columns for a number of magazines and I am also one of the most prominent psychic names on the internet and have helped well over 20,000 people to achieve their goals. I work with the Life Path and from the moment of birth, each of us has a unique Life Path with many aspects on that path already set in stone. 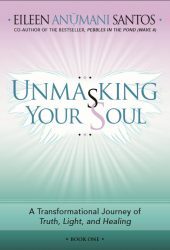 I developed the system I use for interpreting the Life Path, a unique divination system which I have embellished over the last 10 years and it is now my preferred method of working. It allows me to look deeply into the past, present and future to find the best outcome to any problem or situation that needs specific and accurate answers. There is NO OTHER READER that uses my accurate and detailed system. What I see really does happen. With over 25 years of experience you can be assured of nothing but the best insight into your situation to assure the more positive outcome for you. It is important to remember that we are born with the important instinct of “Free Will”. This gives us the ability to learn things for ourselves from our own mistakes and also to make our own decisions in life. This action of Free Will also has a big impact on your Life Path and the way in which the lines and branches take shape throughout our life. So it is important to remember, that although your path can show the best direction in which to head, the steps you take are based on your OWN FREE WILL. In most cases, the FREE WILL you use will only change the way in which the path reaches the outcome and will NOT change the outcome we see happening for you. My reading will not only provide you with insight, but will give you true and honest direction that enables you to reach the outcome you want. Please be aware that there is NO WAY to predict exact timing. The timing of events is based on free will universal movement and is also based on other actions needed to be taken by yourself or others around you. It is possible to calculate if something is soon to happen, or not at all, but for actual set dates, there is NO method of reading that can provide an exact time and date that something will or will not occur. It’s never too late to attract the outcome you desire. Call me now to start your journey.